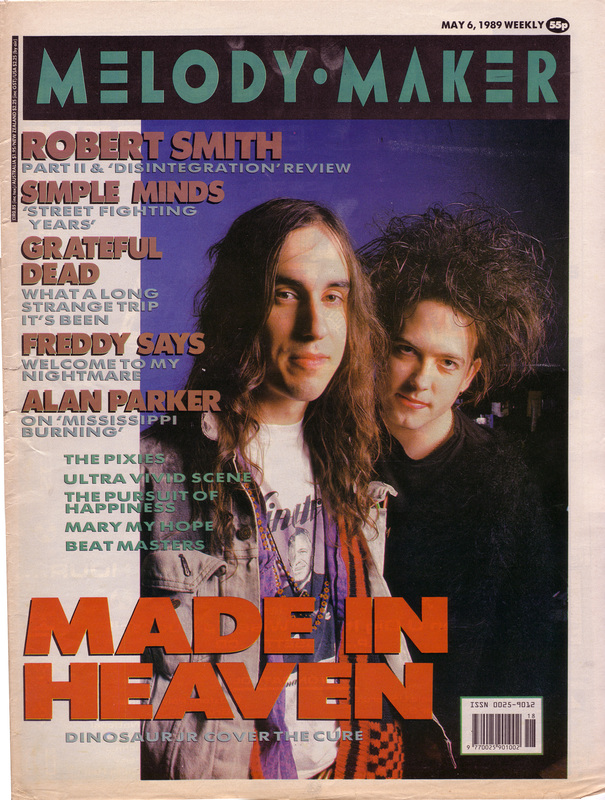 Robert Smith and J Mascis on the cover of Melody Maker, 6th May 1989. 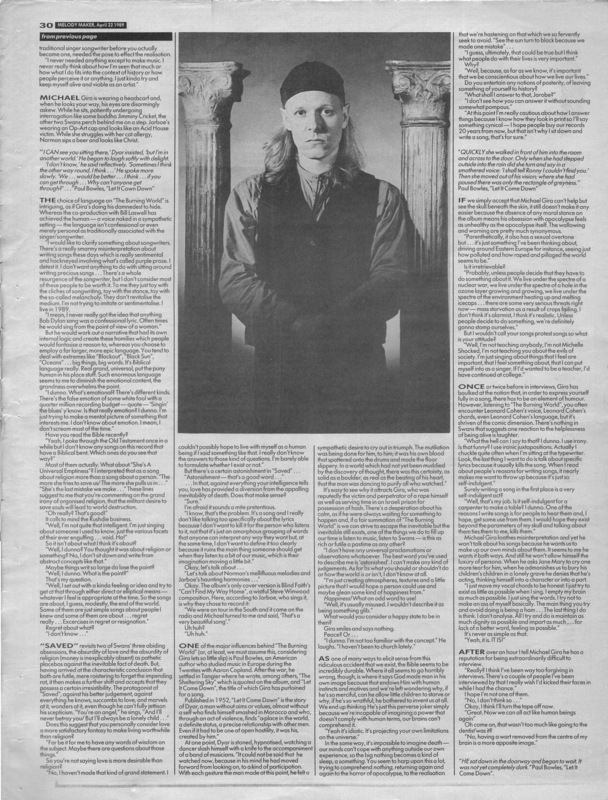 Photo by Tom Sheehan. 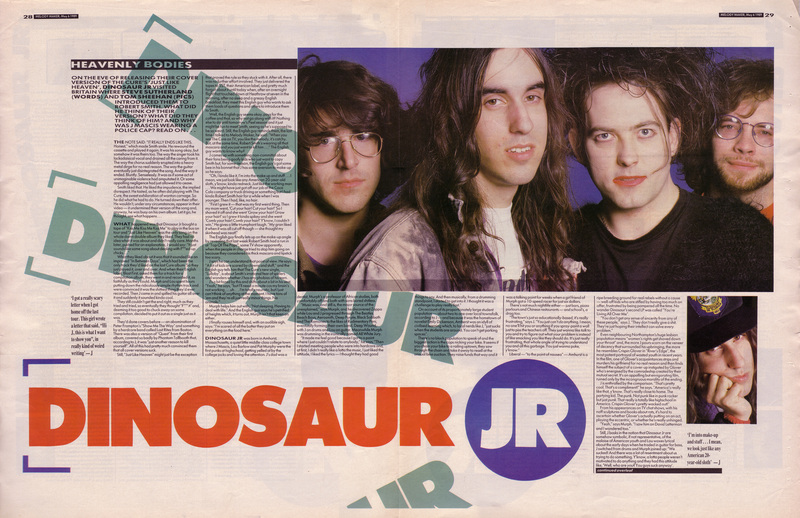 These days J seems to be morphing into a bizarre cross between Jonathan King, Daniel Johnston and Gandalf the White. Google for it if you don’t believe me. 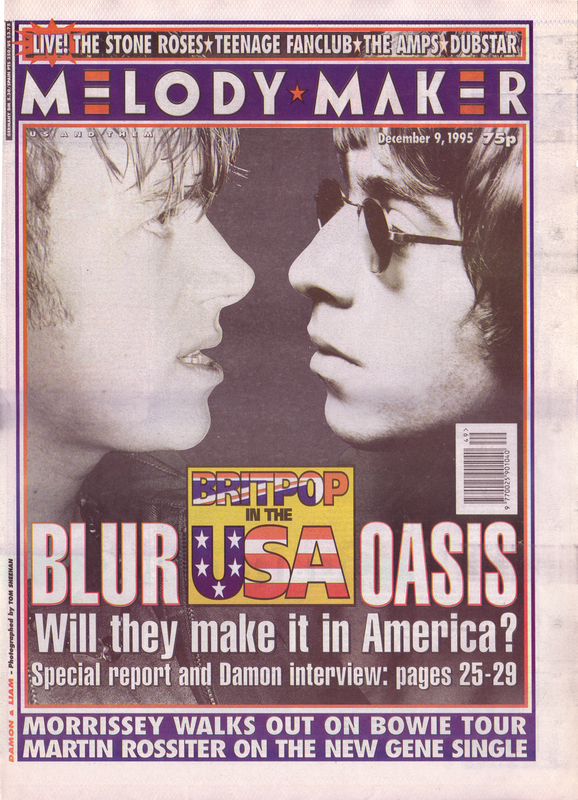 And here’s Just Like Heaven on Spotify although the intro guitar part isn’t how I remember it – are there other versions out there? 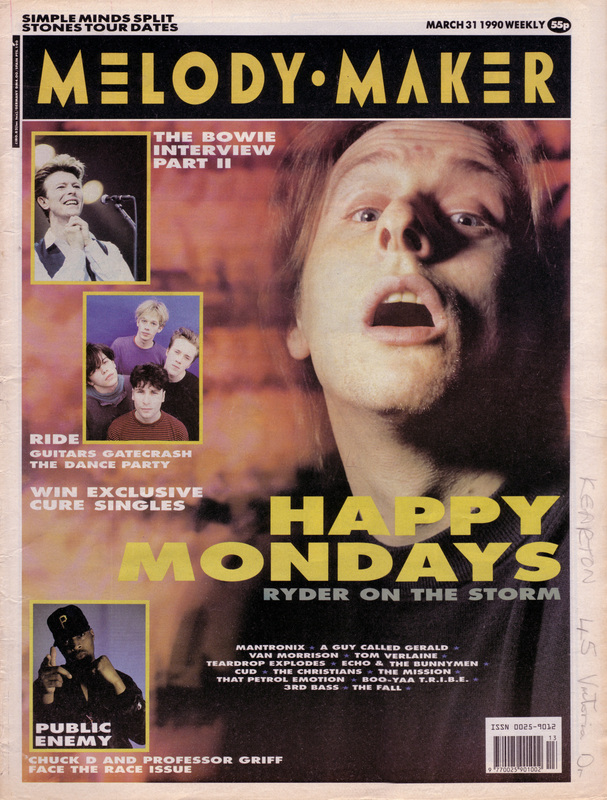 Happy Mondays on the cover of Melody Maker, 31 March 1990. Photo by Tom Sheehan. 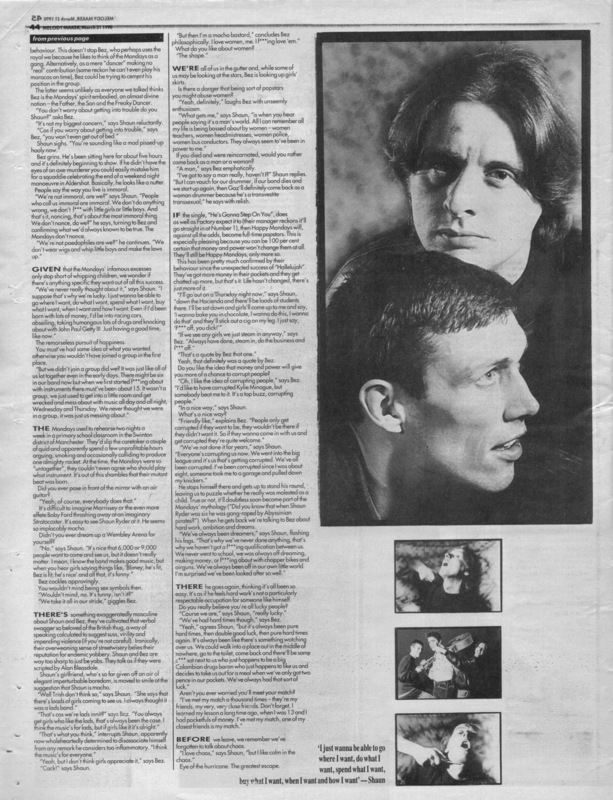 Someone asked for more Madchester stuff so brace yerself for Shaun & Bez at their peak. 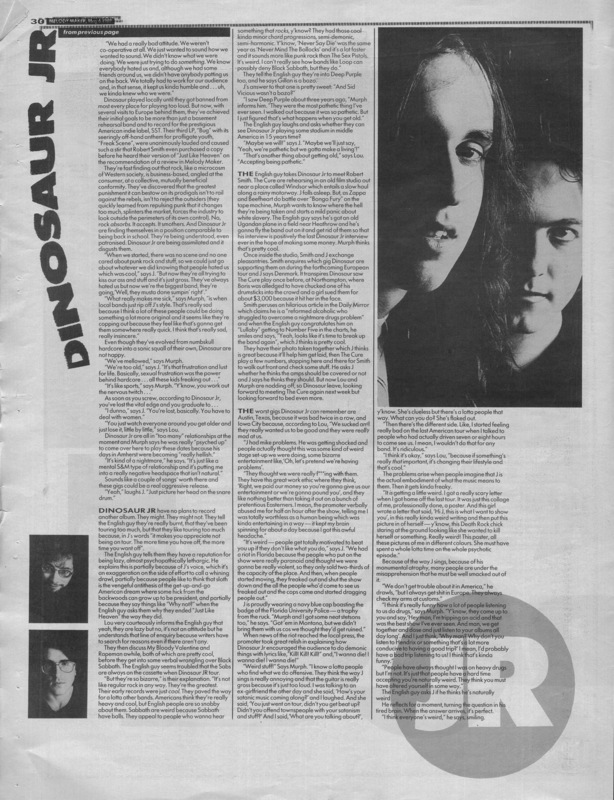 Besides I never need much of an excuse to scan in Ride interviews. 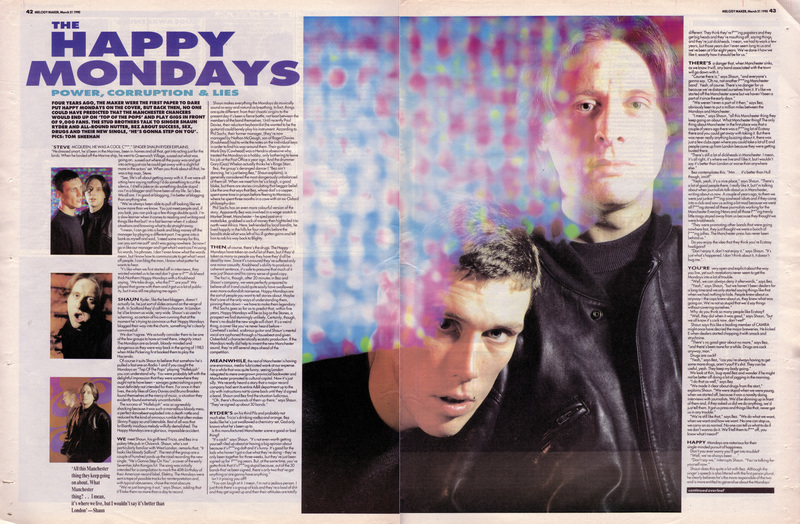 How young does Andy Bell look in this pic? 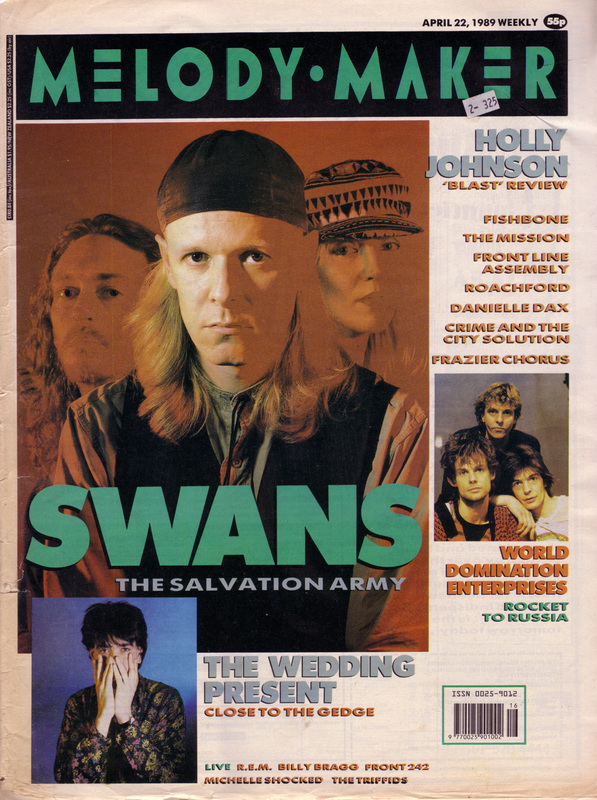 Swans on the cover of Melody Maker, 22nd April 1989. 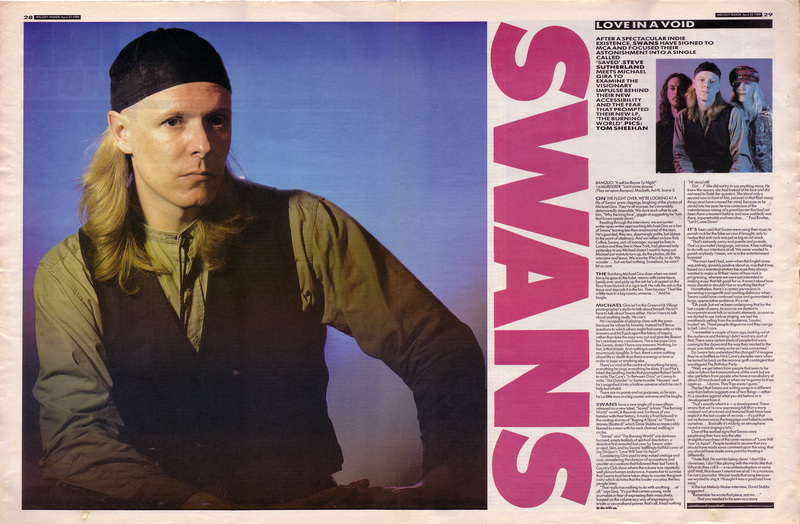 Photo by Tom Sheehan.